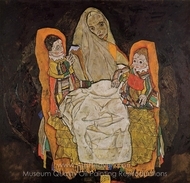 Egon Schiele was an Austrian painter, a protege of Gustav Klimt, and a major figurative painter of the early 20th century. 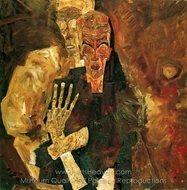 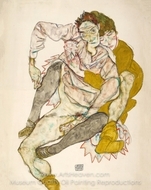 Due to the highly-charged nature of his drawings and paintings and his premature death, Schiele has come to epitomise the popular image of the tortured artist. 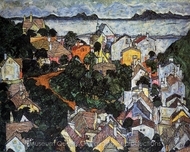 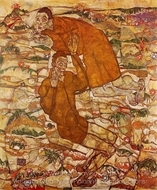 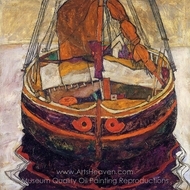 Egon Schiele was born in Tulln on the Danube. 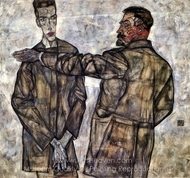 His father, Adolf, worked for the Austrian State Railways as a station master; his mother, Marie, was from Krumau, in Bohemia. 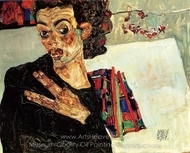 As a child, he attended the school run by the Stift Klosterneuburg, where his arts teacher K.L. 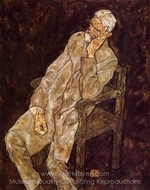 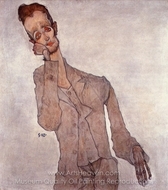 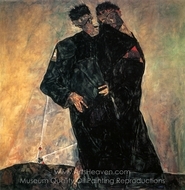 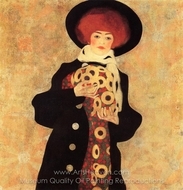 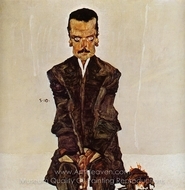 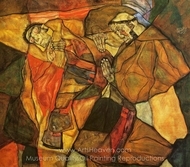 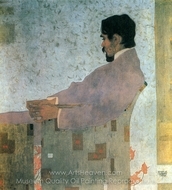 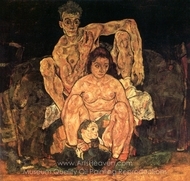 Strauch recognized and supported Schiele's artistic talent.